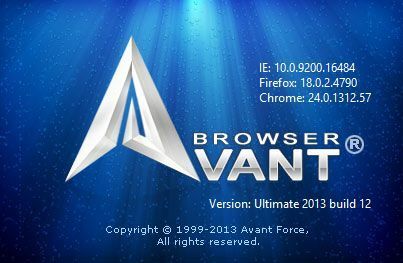 Avant Browser Ultimate is fast, stable, user friendly and versatile web browser that allows a multiple windows in it's single MDI (Multiple Document Interface) environment. Ultimate Version includes IE, Firefox and Chrome rendering engines. Flash Animation Filter: More than 85% of all flash animation on web pages is advertising. These flash files are pretty large, and normally take up to 90% of the size of the page you're visiting. With Avant Browser you can save this bandwidth by blocking the download of these flash files with just one easy click. Avant Browser also provides options to block downloads of pictures, videos, sounds and ActiveX components. With these options users can control their bandwidth and speed up page loading. Built-in Pop-up Blocker: Easily eliminate unwanted pop-up pages automatically with just one click. 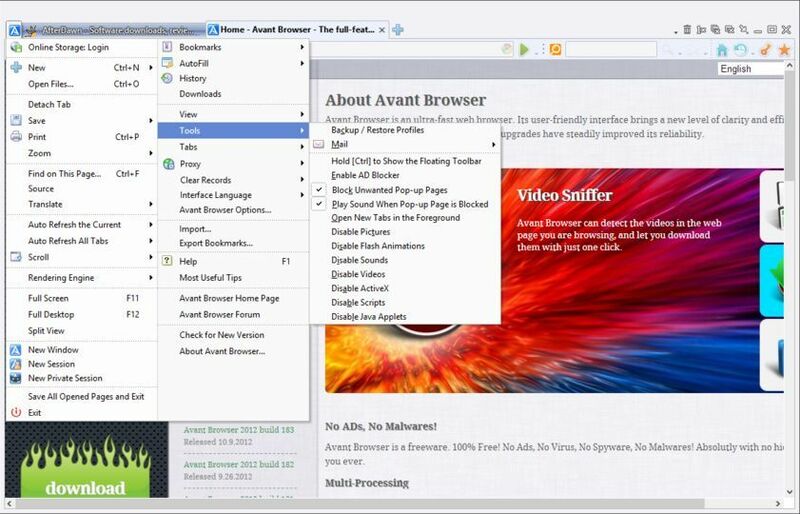 Built-in Yahoo/Google Search Engine: Avant Browser provides a built-in search engines, Yahoo and Google. Built-in search engines enable user to search for web pages, images, groups, directories, news, lyrics and software in Internet. Full IE Compatibility: Avant Browser comes with all Internet Explorer functions, including Cookies, ActiveX Controls, Java Script, Real player and Macromedia Flash. IE bookmarks are automatically imported into Avant Browser. All the advantages of the top three browsers wrapped into one! Simply put...this browser is awesome! I have used many different browsers over the years and this is the best one Ive come across yet!